Can smoking lead to wheezing? Smoking can detrimentally affect the body in various ways including triggering episodes of wheezing. Some of the health effects from smoking can be fatal and even lead to cancer due to the constriction of the air passages in the lungs. 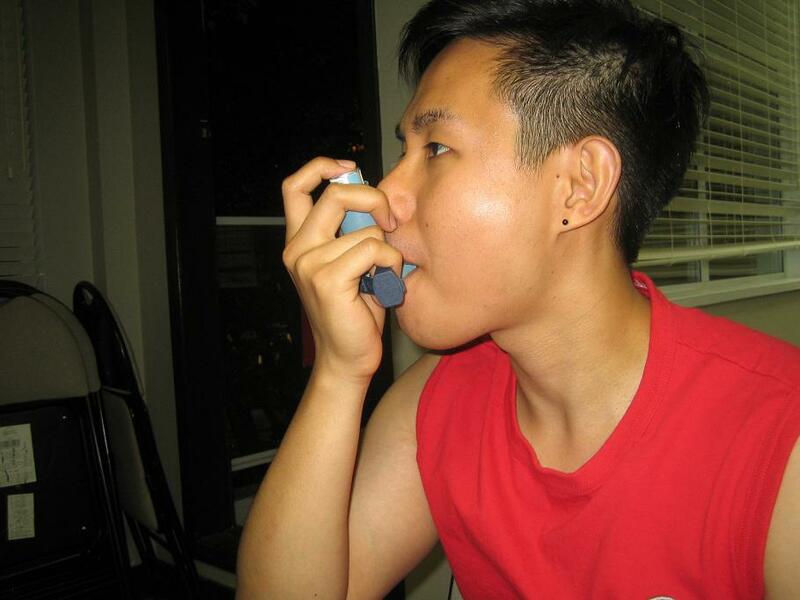 Wheezing is characterized by the whistle-like sound while breathing. Remember that this must be taken seriously and medical care is vital. Wheezing is oftentimes a warning indication that the bronchial tubes in the lungs are not optimally functioning. It can manifest before, during or after a smoking session. The sound is often identified upon exhaling but it is also perceivable while inhaling. If it is triggered by smoking, it might be due to airways that are filled with fluid, inflamed, blocked by a foreign object or tumor. The doctor might also prescribe different breathing treatments to facilitate better breathing. These include inhalers containing corticosteroids, combination inhalers, oral medications and breathing inhalers to minimize the inflammation. If the individual experiences any form of shortness of breath, noise or whistling while breathing in or out, it is best to consult a doctor for proper diagnosis. The doctor will examine and even request for a chest X-ray to determine the extent of the breathing difficulties. In some circumstances, further testing is required to rule out asthma, chronic obstructive disease (COPD) as well as bronchitis and lung cancer. The doctor might even require bronchoscopy which involves viewing and testing the airways in the lungs. This is required to come up with an affirmative diagnosis of lung disease. Smoking is considered dangerous to the health. The use of tobacco is known to contribute to deaths in countries all over the world. The build-up of tar, nitrosamines, carbon monoxide and other chemicals can lead to airway constriction. Take note that this can cause momentary or long-term diseases such as COPD that requires breathing treatment and administration of oxygen to sustain life. Once the doctor confirms that the individual is wheezing and has difficulty with breathing, it is essential to stop smoking right away. There are over-the-counter smoking patches and nicotine gums that can curb down the smoking habit. The doctor might also prescribe different breathing treatments to facilitate better breathing. These include inhalers containing corticosteroids, combination inhalers, oral medications and breathing inhalers to minimize the inflammation as well as control the wheezing. It is vital to avoid smoking and being exposed to second-hand smoke to prevent wheezing and asthma attacks from worsening. Always comply with the follow-up check-ups with a doctor even if the individual feels well to prevent a possible relapse in the future. Family members who smoke should be encouraged to quit by being supportive of their choice to stop. In addition, the lung capacity of the individual can be improved by exercising regularly.